An exclusive chat with Nitesh Tiwari, the director of the acclaimed Star Plus "nayi soch" commercial and the Bollywood film, Dangal, both starring Aamir Khan. This story goes back some years to Leo Burnett. The agency’s then creative chief, KV Sridhar aka Pops would be striking off any reference made to the consumer in the masculine gender and religiously change that to feminine, before the presentation went to the client. While that’s a common mistake that many are guilty of, one of the persons accused of commiting the error in this case was an IIT-Bombay engineer named Nitesh Tiwari, who was then an ECD at Leo Burnett. "Pops used to make people believe that I am a hostel boy and I used to protest that I am equally sensitive about gender," recalls Tiwari, who's now an acclaimed Bollywood film director and is seen by many as a champion in gender sensitivity with the recent success of Dangal, his critically acclaimed film that brought alive the struggles of wrestling champs, the Phogat sisters. To prove his point of being gender sensitive, Tiwari approached Pops with a script for the television quiz show Kaun Banega Crorepati (KBC) and told him that he would not need to make any corrections in the same, least of it, on the gender front. The ad, which ended with the line, badhai ho, aapko ladki hui hai fitted "seamlessly into the theme of the entire campaign," recalls Tiwari. Pops was a firm believer of gender balance was always known to tilt the scale to the other side, by putting his weight behind the women employees in his team. Among others, one of the employees at Leo Burnett was Ashwiny Iyer Tiwari, (now Nitesh’s wife) who’s an acclaimed Bollywood film director in her own right. In jest, the creative team at the agency was named 'Pops and daughters'. "Pops has always been a champion of gender sensitivity," recalls Tiwari. 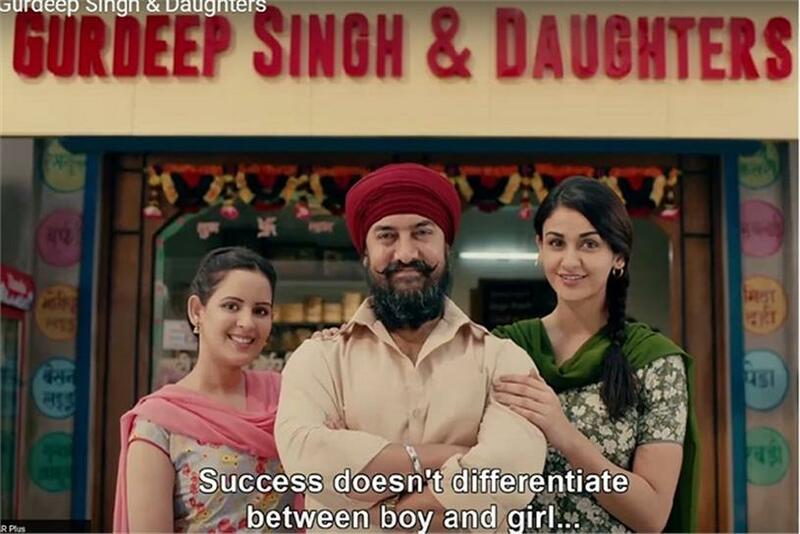 While Tiwari is basking in the success of his movie, Dangal, his new ad film for Star Plus, also starring Aamir Khan has also created waves for its simple, yet beautiful, idea – a sweet shop named Gurdeep Singh and daughters (in a country where most family run businesses are generally named as XYZ and Sons). From the time Campaign India introduced the gender sensitivity scores for ads a couple of years back, there have been few ads that have managed a rank of more than 6-7 on the gender scale. However, this ad has been ranked 9 and 10 by the critics who’s reviews appeared on Campaign India yesterday. But Tiwari is quick to deny taking credit for the same and says that the film was entirely the agency's (Ogilvy India) idea. "It’s a simple story and I had to only ensure that style would never take over substance," he says. Tiwari adds with some outstanding talent acting in the ad, he had to only stick to the basics. He says that he never consciously sets out to prove a point in gender sensitivity. "I just follow my heart, without any vested interest. Things just fall ino place," he says.